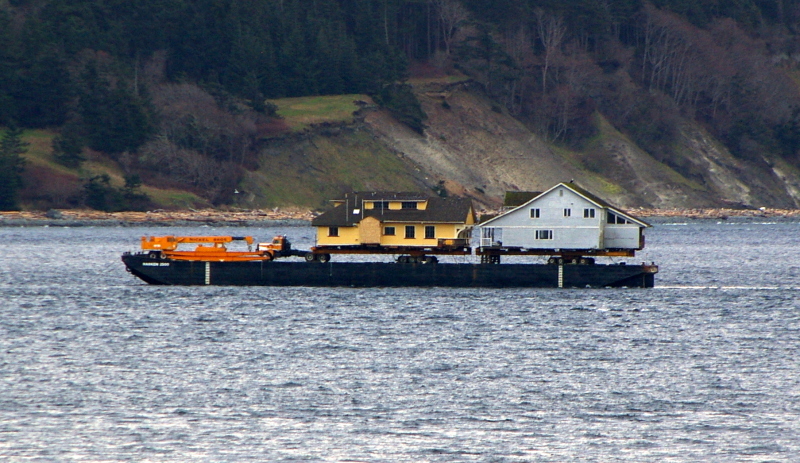 This barge was being towed to Campbell River, B.C. by the tug "Granny Hutch". The yellow house was being dropped off in Campbell River and the light blue house was going to Sointula.